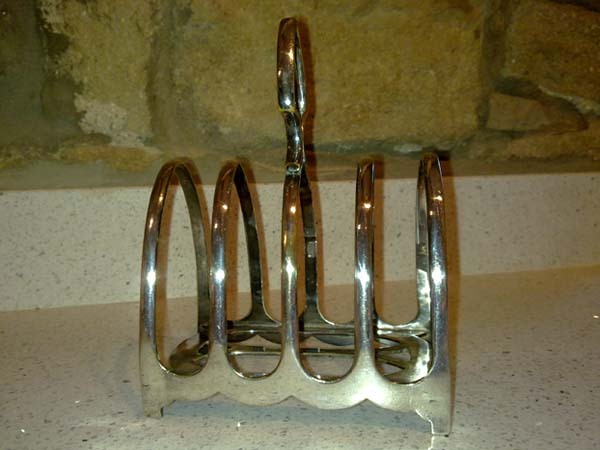 Another fine piece of Gogarth Abbey memorabilia just added to our collection – this time a silver toast rack which we have been informed probably dates from the 1930s/1940s. It is stamped Gogarth Abbey and was probably smuggled out in a suitcase by a holidaymaker. Click the image to enlarge. This entry was posted in Penmorfa Paintings and tagged Gogarth Abbey, Gogarth Abbey Hotel, Gogarth Abbey Hotel Llandudno, Gogarth Abbey Toast Rack. Bookmark the permalink. 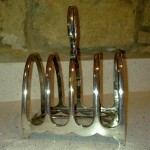 is this item for sale somewhere? if so, how much? Sorry, its the only one I have…there must have been quite a lot of these in the hotel in its heyday and I often where they all got to! Thanks for your interest.